Negotiations lasted all night and into the pre-dawn hours of Thursday between striking teachers in Denver and the city school district, who are trying to come up with a deal to end a walkout affecting..
A unique, incentive-based pay structure adopted by Denver public schools more than a decade ago is at the crux of a strike by teachers who say the bonus system has eroded their earning power in a city..
▶ Videos for "Denver Teachers Strike"
The teachers union voted 97 percent in favor of the new deal which was reached earlier this month. 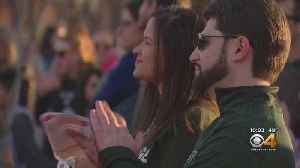 Some students, parents joined teachers in City Park. 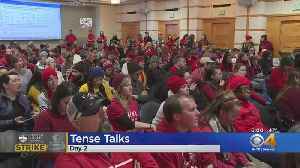 An agreement between the Denver teachers' union and Denver Public Schools has been reached, bringing an end to this week's strike. 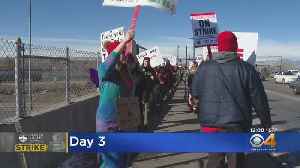 The DCTA and DPS are on the verge of reaching a deal to end the Denver teachers strike after another round of negotiations Wednesday afternoon. 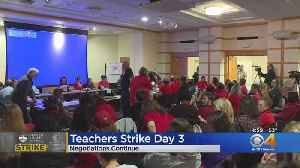 In another marathon bargaining session on Wednesday, officials with Denver Public Schools and the Denver Classroom Teachers Association moved closer to ending the strike. 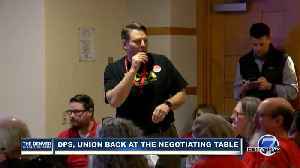 DPS and the teachers' union are back to the negotiating table Wednesday at 10 a.m. at the Denver Public Library to continue discussions as the third day of the Denver teacher strike continues. 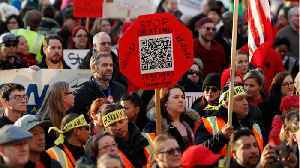 Teachers are seemingly optimistic as strike negotiations continue on Wednesday. 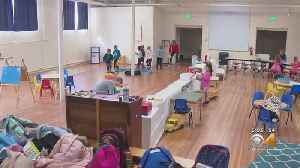 Early Childhood Education has been a casualty of the Denver teachers strike, halted entirely. Negotiators for striking Denver teachers and the city school district returned to the bargaining table on Wednesday after a productive session the previous day, as the walkout affecting 92,000 students..
Denver Public Schools presented a new proposal to the DCTA around 10:30 a.m. that had several teachers in the audience at the Denver Public Library clapping. 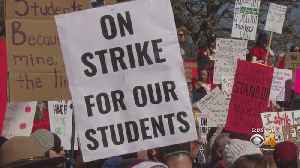 Meanwhile, teachers continued to picket..
Denver Public Schools and Denver Classroom Teachers Association were negotiating Wednesday. 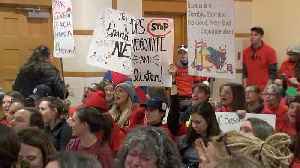 Denver Public Schools presented a new proposal to the DCTA around 10:30 a.m. that had several teachers in the audience at the Denver Public Library clapping. 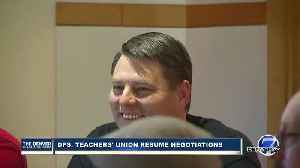 The union asked no questions about the..
Denver Public Schools and Denver Classroom Teachers Association continue negotiations. 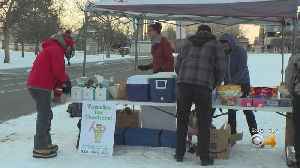 Volunteers with the International Socialist Organization are supporting teachers in Denver who are on strike. Reuters reports Thousands of Denver public school teachers will walk the picket lines for a third day on Wednesday, disrupting classes for about 92,000 students after union and school district..
After an entire day of negotiations, the Denver Public School District and Denver Classroom Teachers Association continue to have differences on a fair compensation agreement. Hundreds of teachers marched from East High School through downtown and made their way to Civic Center Park. 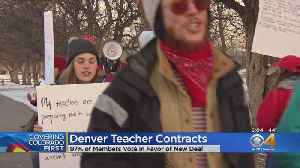 Teachers in Denver Public Schools picketed for a second day on Tuesday as negotiations continued between DPS and the Denver Classroom Teachers Association. 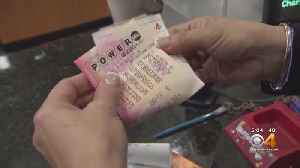 One state lawmaker wants to make education a priority by using lottery money designated for outdoor recreation areas to fund classrooms. 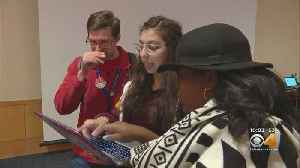 DCTA representatives detail the latest counter-proposal from the teachers union made to Denver Public Schools as Day 2 of the teacher strike continues. 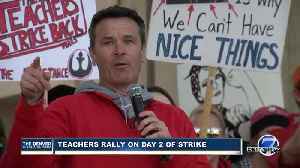 A host of representatives from the Denver Classroom Teachers Association rallied alongside Denver teachers and supporters at Civic Center Park Tuesday on the second day of the Denver teacher strike. 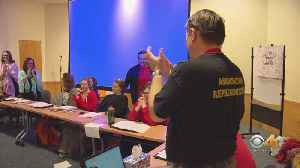 Denver teachers: "This pay is bananas!" As negotiations continue between the DCTA and Denver Public Schools, teachers shout, "This pay is bananas!" 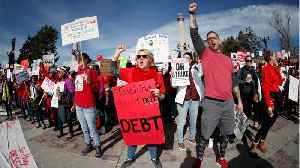 Denver teachers marched to Civic Center Park near the Colorado state Capitol on Tuesday, the second day of a teacher strike over better pay. 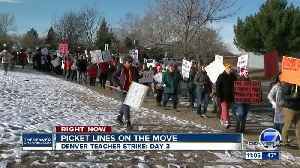 According to Reuters, Denver's public school teachers walked the picket line for a second day. 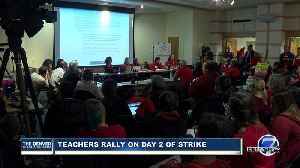 Following other teacher's union strikes, Denver's educators are the latest to walk off their..